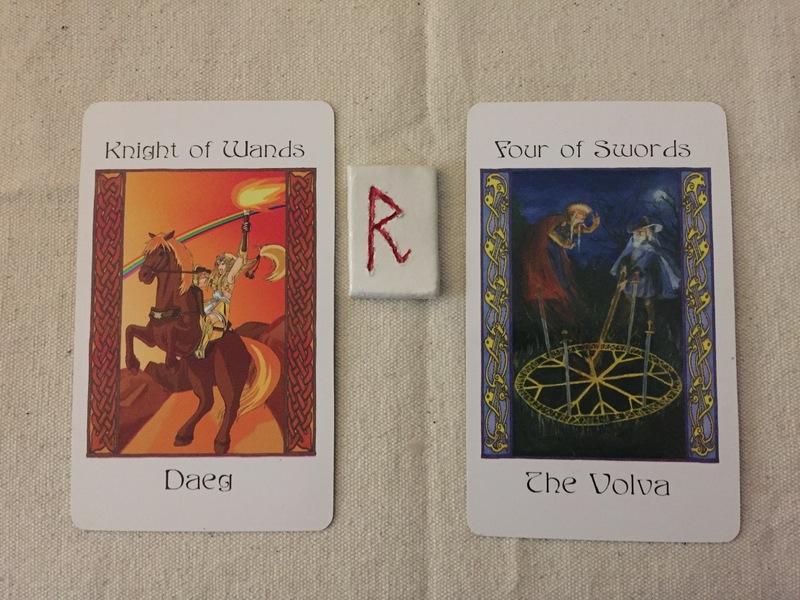 Today’s Draw: Daeg/Knight of Wands; Raido; The Volva/Four of Swords. Things are moving along, and you need to move with them. You must actively participate in creating the progress, not merely allow yourself to be swept along by it. Change is in the air, and opportunities abound. The Volva reprises her role as the Hidden Influence from yesterday. 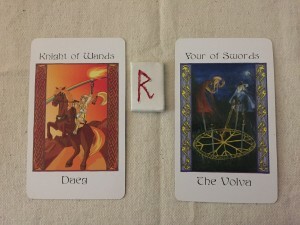 Her message to you is concise and clear: the past holds no answers, no information, that is of use right now. You must look to the present to create your new—and better–future.